Check out this INCREDIBLE PRIME PERIOD penciled AND INKED pinup by the great Mike Kaluta! 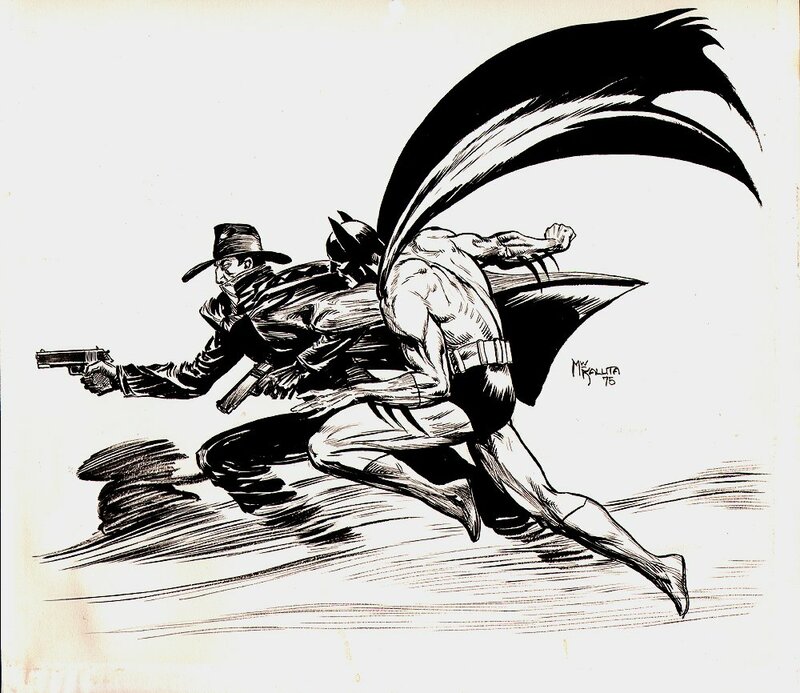 This Pinup features nice large images of The Batman and The Shadow running, as The Shadow has his gun ablaze, with great action lines around the running heroes! As Most people know, Mike Kaluta was the artist who Made The SHADOW a household name, while drawing his incredible 12 issue DC run from October 1973 through September of 1975. This art was created While Mike Kaluta was at his PEAK, "STILL DRAWING" his SHADOW comic book series back in 1975! Art is drawn on a 12.75 by 15 inch art board, and is signed on the right side: "MW KALUTA '75"! This is truly a one of a kind piece that you will not see come up for sale very often with these 2 GREAT heroes, by this 1 GREAT ARTIST! ALL art on our website (including this one) are able to be purchased with VERY fair time payments, and trades are always considered towards "ANY" art on our website! Just send us an email to mikeburkey@aol.com and we can try to work something out.